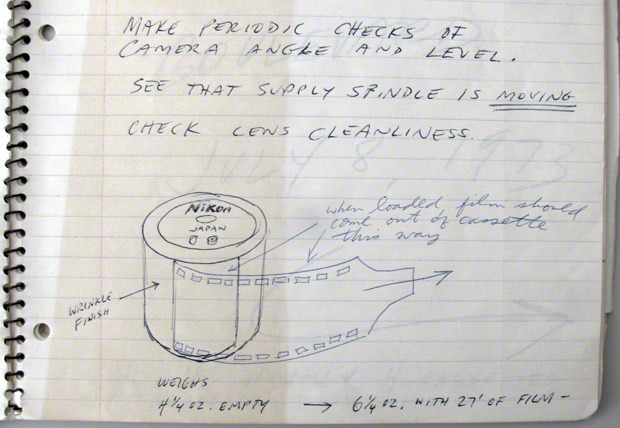 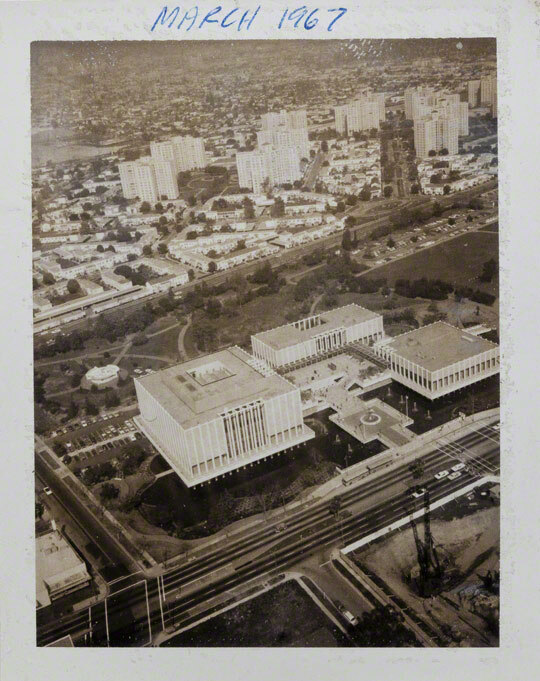 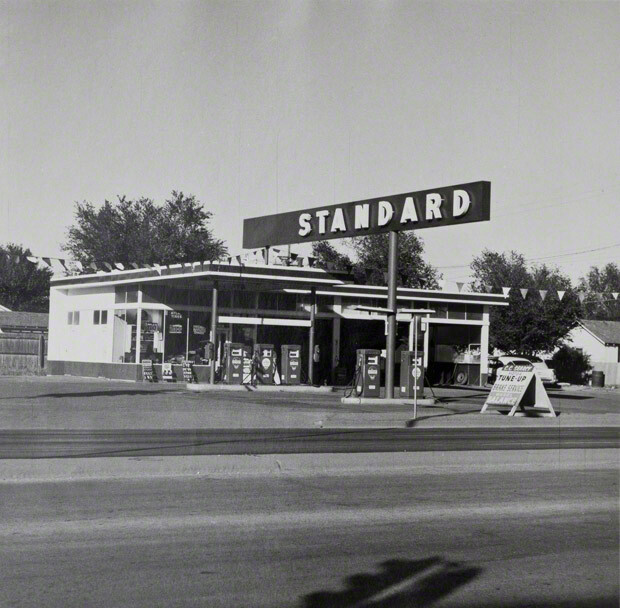 The Getty has just acquired photographs by Ed Ruscha. 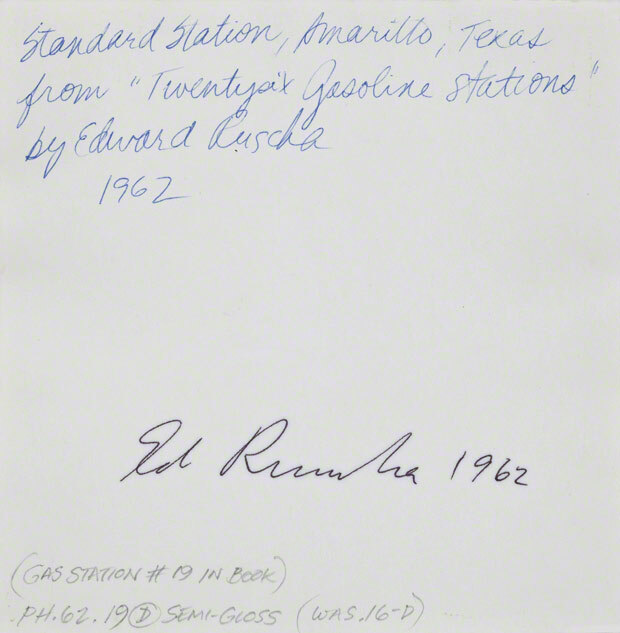 Seventy-four prints, including depictions of gas stations from Los Angeles to Oklahoma City along Route 66, sidewalk views of buildings that were included in his self-published books Some Los Angeles Apartments and Real Estate Opportunities, and shots of the Los Angeles County Museum from the sky, are the first works by Ruscha to join the Museum’s collection. 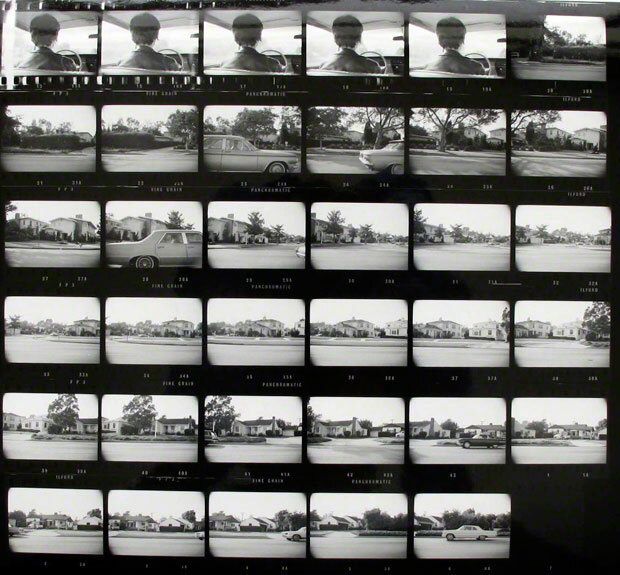 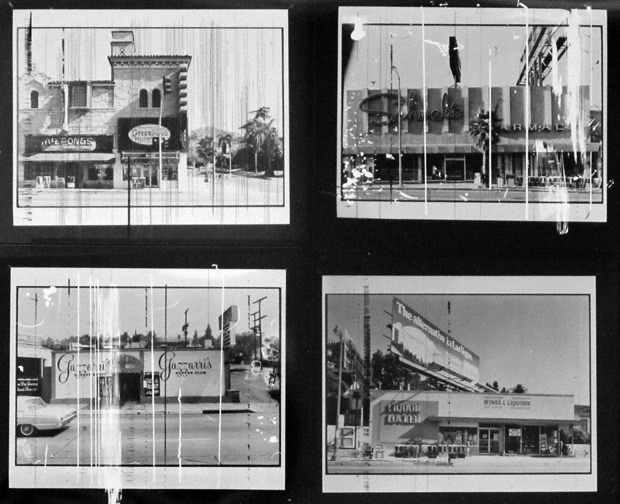 The Getty Research Institute will now house Ruscha’s Streets of Los Angeles Archive, a trove of hundreds of contact sheets and tens of thousands of images that document the city’s streetscapes, from Melrose and Western Avenues to Pacific Coast Highway. 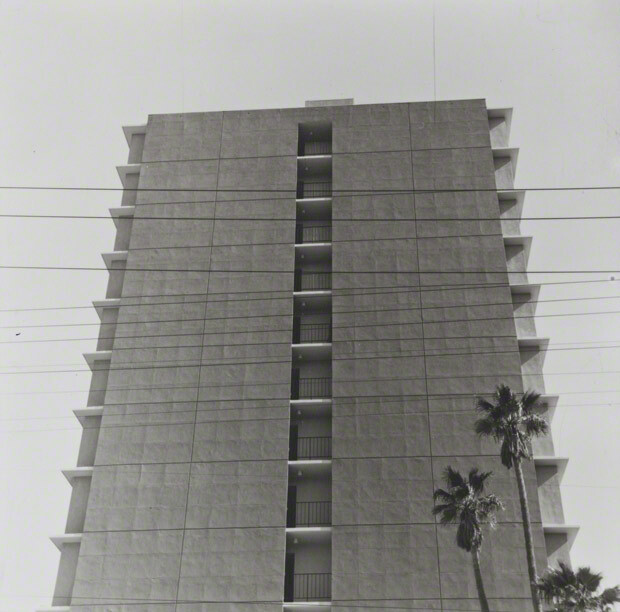 Included also are the production material for Ruscha’s historic Every Building on the Sunset Strip (1966). 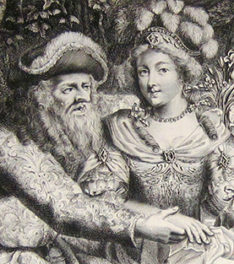 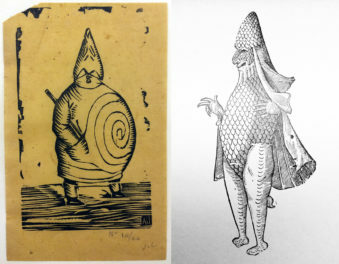 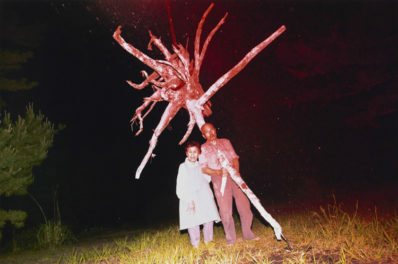 Part of the material comes as a promised gift from the artist himself. 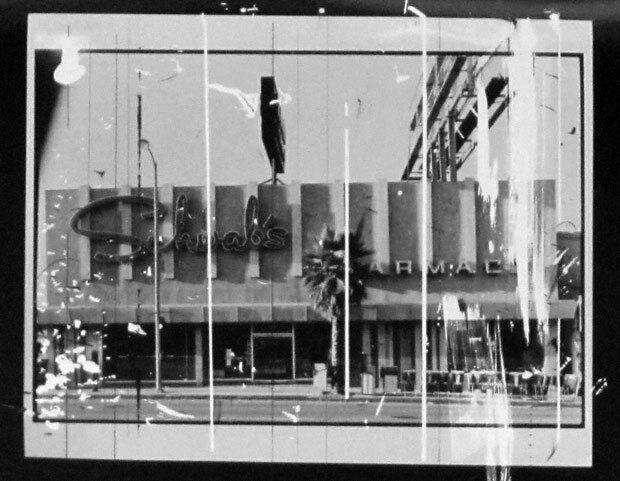 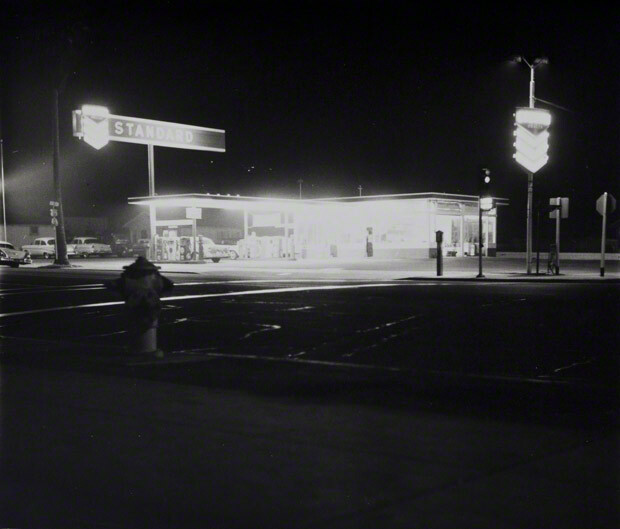 Here’s a first sampling of Ruscha’s eye on L.A.’s streets, structures, and signs.